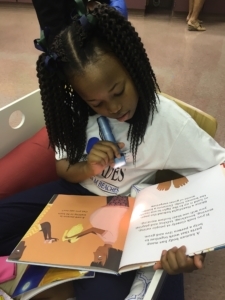 Thanks to the Palm Beach County Chapter of the CSF, Belle Glade Elementary school opened their reading room in November 2016. 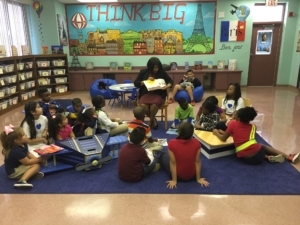 Belle Glade selected a transportation theme for their reading room designed to remind students of all of the places they’re able to go. Students who visit the reading room have unique options for where they can sit with a good book and travel off to faraway places: a boat, a plane, and even a hot air balloon! 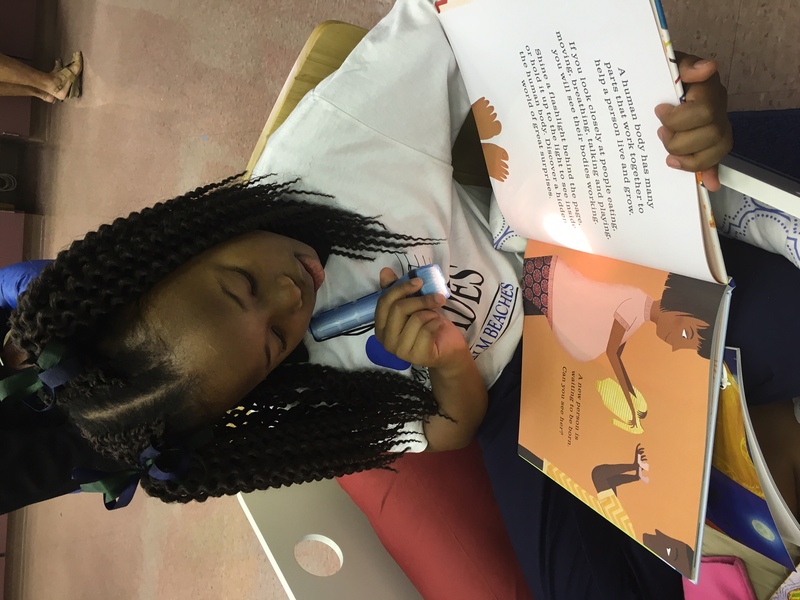 Belle Glade’s reading room transcends generations and appeals not only to children, but their parents as well. Throughout the school year, the room is open to parents who are taking Rosetta Stone classes to learn other languages. Future plans for the room include hosting a reading night where parents and children can visit the room to read to one another.